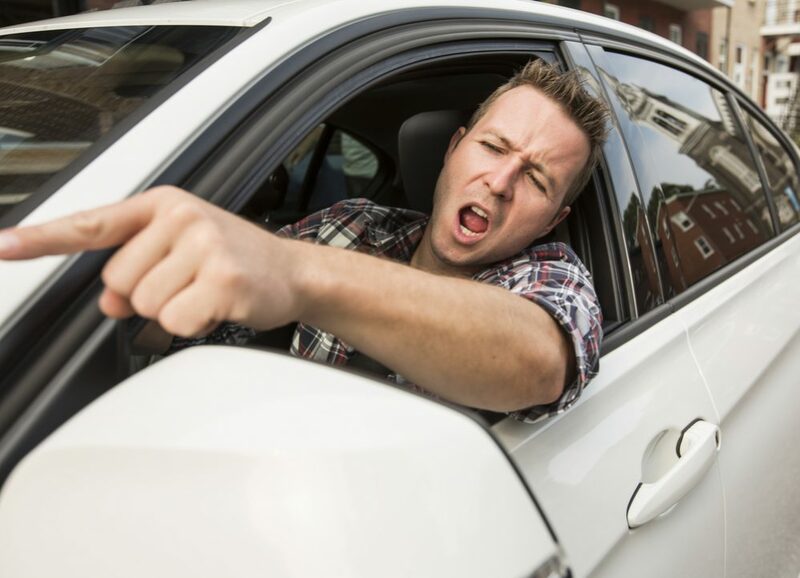 Aggressive driving can refer to any display of aggression by a driver. 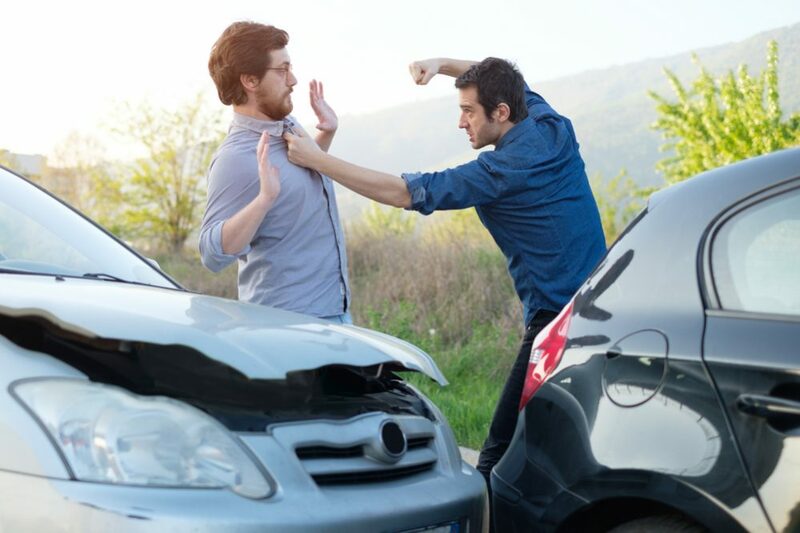 It is often used to describe more extreme acts of physical assault that result from disagreements between drivers. “Road Rage” is a term believed to be coined by the American media, originally to describe the most violent events. 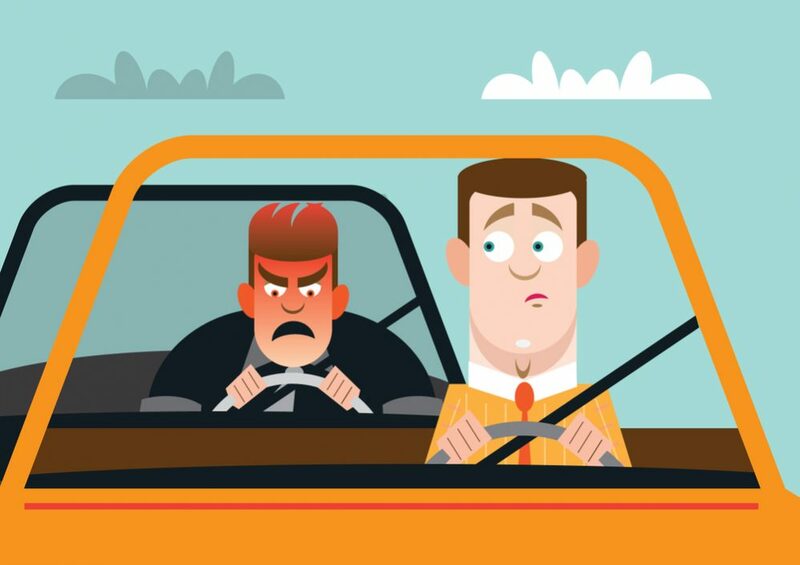 Although the media currently seem to refer to all aggressive driving as road rage, the New York State Police have pointed out that there is an important difference. “Road Rage”, such as using the vehicle as a weapon or physically assaulting a driver or their vehicle, is NOT aggressive driving. Such acts are criminal offenses, and there are laws to deal with these violent crimes. The New York State Police define an Aggressive Driver as one who Operates a motor vehicle in a selfish, bold or pushy manner, without regard for the rights or safety of the other users of the streets and highways. Part of the problem may be the roads themselves. The roads are more crowded. The number of vehicle miles driven each year is up 35% in the past ten years, and there are more vehicles on the roads. Yet the number of miles of roadway has increased by only 1%. Also, people are busier. Time is at a premium, and road congestion causes frustration. According to the media, there are numerous events of aggressive driving or “road rage” on the public highways. There is growing concern among motorists about this problem. The American Automobile Association (AAA), Potomac Club commissioned a survey in early 1996 to determine what issues drivers were concerned about in the Washington, D.C. area. The largest group of drivers, 40%, felt the major traffic safety threat was the aggressive driver. This study, done in the United States, researched incidents of violence that involved traffic altercations and the use of vehicles as weapons. These were only the most violent incidents which resulted in a police crime report or newspaper article and make up only a small number of the incidents which would generally be considered aggressive driving. * Please note that the figures for 1996 were for an eight month period. If the incidents continued at the same rate for the remaining four months, the total for the year would project to close to 1,800. There is no specific profile for the aggressive driver. The majority of these drivers were young (18 to 26 years of age), poorly educated males with criminal records, histories of violence and drug or alcohol problems — many of whom had recently suffered an emotional or professional setback. But hundreds of these drivers were successful men and women with no history of crime, violence or substance abuse. 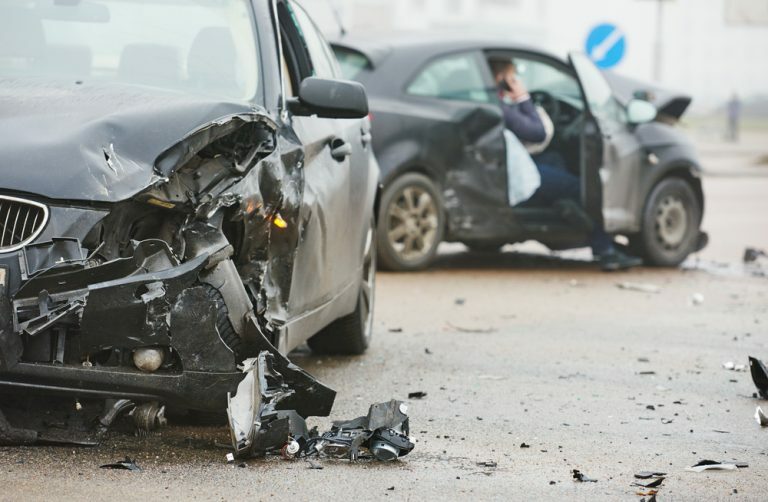 There were numerous instances where the driver was between the ages of 26 and 50, and 86 reported incidents where the driver was between 50 and 75 years old. According to the study, it seems that a relatively minor traffic event which turns into an aggressive driving incident may be the result of a series of stressful events in an individual’s life which culminates in extreme violence. This study was published by the Automobile Association in Great Britain in March 1995. British motorists were surveyed to find out what types of aggressive behavior they had experienced while driving. First they were asked if they felt that motorist behavior had changed in recent years. Of those surveyed, 62% said they felt driver behavior was worse. They were then asked what types of aggressive behaviors they had experienced from other motorists in the last 12 months. The majority of these incidents happened during the daylight hours (70%) on a main road (not freeway or divided highway). Ninety-six percent (96%) of the respondents indicated that their confidence while driving was not affected by the aggressive driving event. 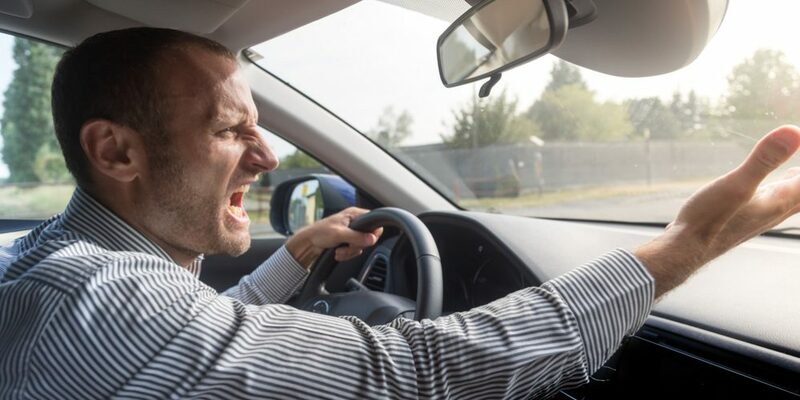 Congested roadways and pent-up frustration lead to aggressive driving. How you feel before you even start your vehicle has a lot to do with how stressed you will become while driving. Humans are territorial. When people feel that their space has been invaded, the natural instinct is to protect themselves. Some drivers carry this tendency too far by trying to assert dominance by chasing another driver. This behavior by a driver may have fatal consequences. 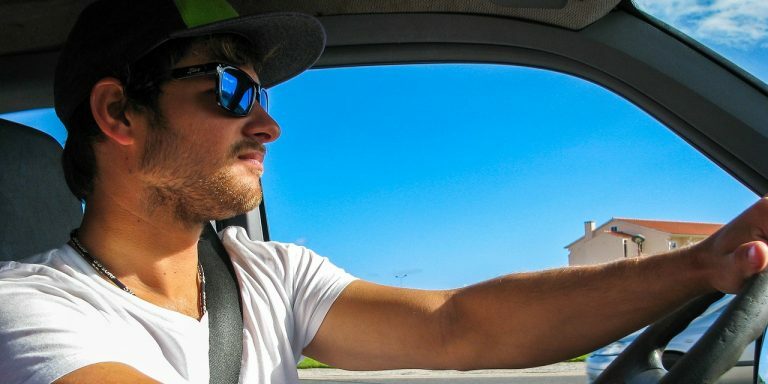 An earlier study conducted in 1992 by the Automobile Association (AA) in Britain examined lifestyle factors of young men who had previously been identified as “safe” or “unsafe” drivers. The study revealed that mood influenced the “unsafe” driver to a greater extent than it did the “safe” driver. 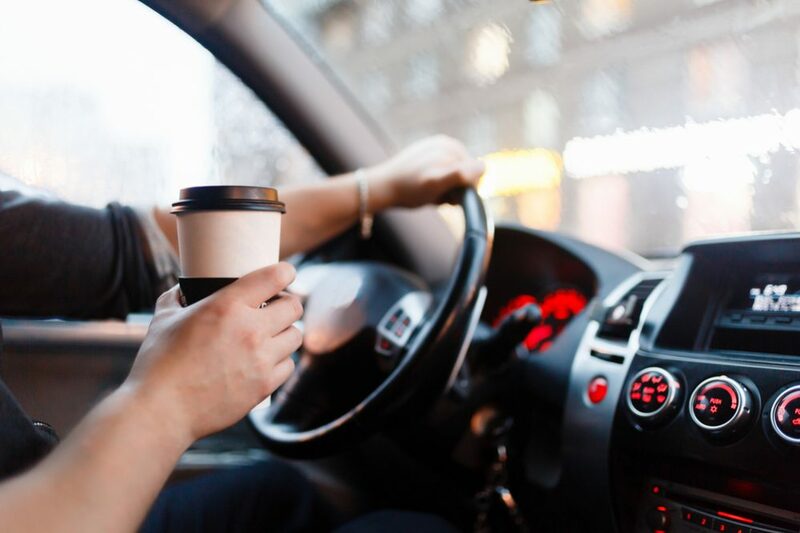 It also revealed that being in a bad mood had a negative effect on driving behavior, especially for the “unsafe” driver, who was more likely to react to the actions of other road users. This supports the view that some people are more likely to succumb to “road rage”, but it does not mean that “road rage” cannot be controlled. Although the 1992 study was specific to young men, the 1995 study indicated that there was very little age or gender difference in the prevalence of “road rage”. In November of 1996, the AA in Britain published a follow-up to the March 1995 “Road Rage” study. It examined why people experience “road rage” while driving. The study looked at the role of environment in contributing to aggression and compared driving environments to pedestrian environments. Does the driving environment give rise to aggression? Is aggressive emotion more likely to be translated into violent behavior in the driving environment? If the driving environment itself can provoke negative and dangerous emotion, then driver aggression needs to be addressed in terms of aggression in general and not just related to driving. As early as 1968, a study published in The American Journal of Psychiatry which examined fatal accidents, showed that in 20% of the cases studied, the drivers had been involved in aggressive altercations within a six-hour period before their deaths. The danger is that an inability to effectively deal with anger may mean that aggression influences a motorist’s own driving ability. A driver’s aggression may be more dangerous to the person experiencing it than to fellow motorists. Noise — While not provoking aggression, noise has been shown to influence the intensity of a pre-existing case of aggression. Temperature — In a study conducted in 1986, it was found to that there was a direct relationship between temperature and driver aggression. The hotter it was the more aggressive the subjects became. 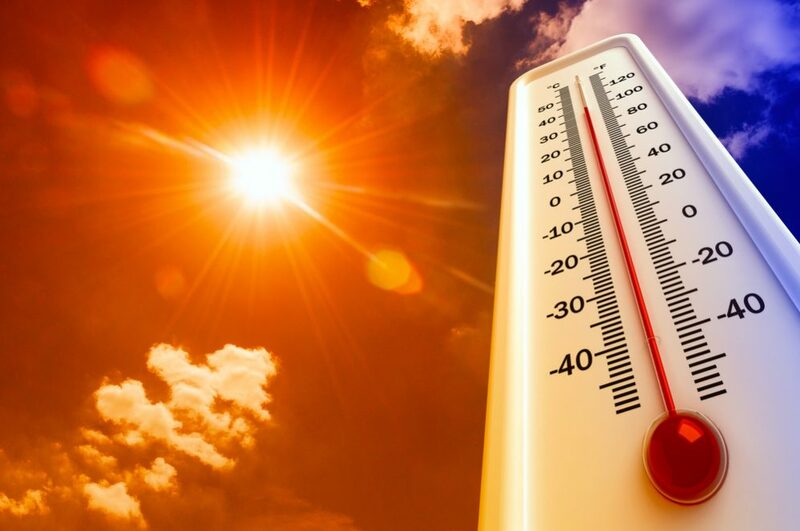 Most past studies of temperature and its effect on aggression have been inconclusive because if the subject was too hot, they could ask that the temperature be adjusted. This perception of control would lessen frustration and aggression. In the 1986 study there was no control of temperature on the part of the subject. Overcrowding — This is a subjective environmental factor. 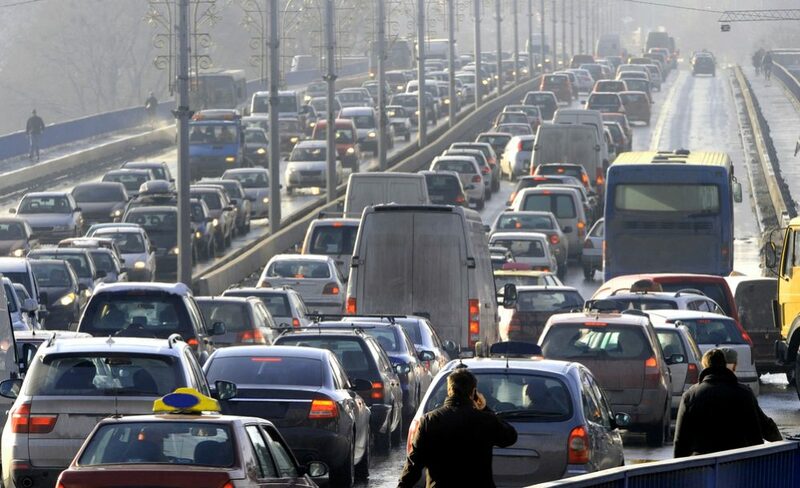 In experiments where all the subjects agreed to the fact that conditions were overcrowded, and especially in the case of traffic congestion, aggression may reach detrimental levels. 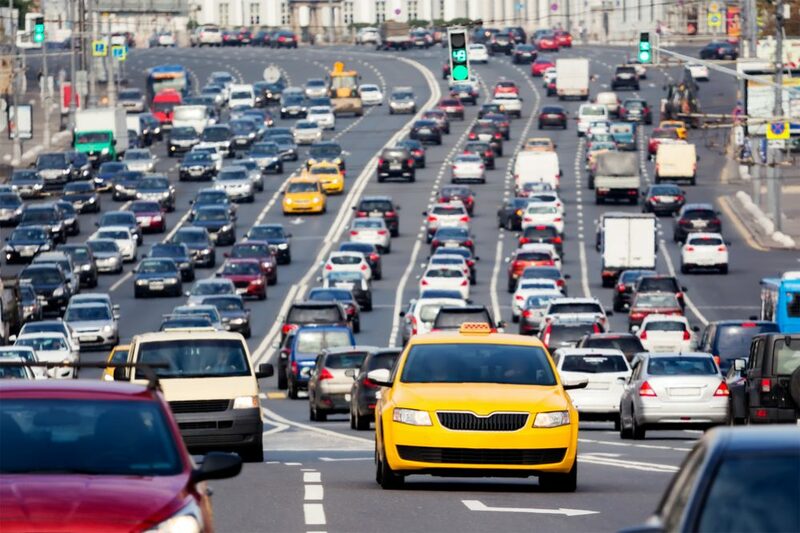 Noise and heat may exert the most influence on motorists in a traffic congestion situation. Territoriality — Furthermore, individuals often view their vehicles as an extension of their home. At home, one sets standards for oneself that may be fine in the privacy of one’s home but would not be acceptable in public. The car seems to straddle the boundary between private space and public domain. Pedestrians and Drivers — Different Perspectives. Why don’t pedestrians experience “pedestrian rage” while walking in a crowded area? Does the exertion of walking dissipate frustration and anger? The study found that pedestrians are limited by their physical capabilities, while a car is limited by roadway engineering, posted speed limits and congestion. The study also looked at the psychology of aggression and rage. Numerous past psychological studies were examined. The conclusion was that “venting” anger does not reduce feelings of aggression. On the contrary, anger builds on anger and can easily erupt into violence. Interpersonal communication, while easy in a pedestrian situation, is not as recognizable from inside a vehicle. A pedestrian who bumps into another person on the street, may easily apologize. A motorist may not realize that you feel wronged, and a gesture of apology may be misinterpreted as an offensive gesture. Another concept which was explored was the idea that driving aggression is an index of general aggression in society. A previous psychological study has stated that road deaths correlated to violent deaths (murder & suicide) in numerous countries. AA tested this theory in regions in Britain using 1994 homicide and traffic accident statistics and found that there was a strong predictive link between the two rates. A comparison of regional traffic accident statistics and population density was also conducted. There was no link found between the number of accidents and geographic size or population density of the area. 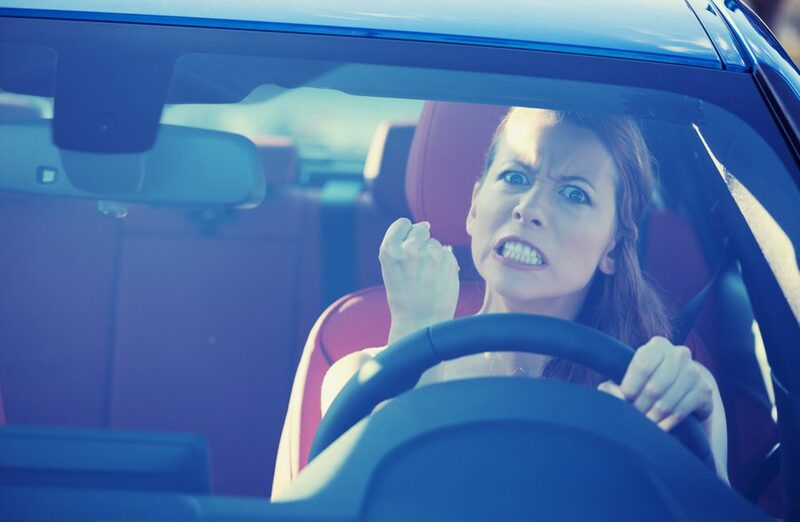 According to the Driver Aggression study published by the Automobile Association in Britain in November of 1996, there were only six fatalities in Britain in 1996 resulting from road rage. An individual is much more likely to die in a fatal car crash than as a result of road rage. The media has presented high profile stories about incidences of road rage, which when compared to other traffic safety initiatives, do not warrant such extensive coverage. Part of the cure for road rage is to return the public’s perception of this problem to more realistic proportions. 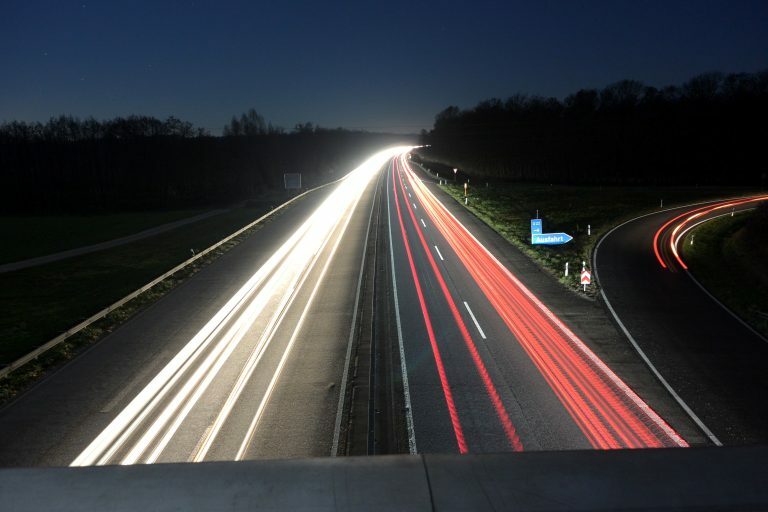 The study indicates that the focus of the traffic safety community should not be removed from areas such as alcohol and speed which are and continue to be significant causes of death and injury on the highway. Operates a motor vehicle in a selfish, bold or pushy manner, without regard for the rights or safety of the other users of the streets and highways. Since 1995, the State Police have had an anti-aggressive driver program “without fanfare”. The Hazardous Violations Program was initiated in an effort to cut down on aggressive driving behaviors, in particular excessive speed and reckless driving, throughout the state. Now the State Police have initiated an enforcement and public information and education campaign which specifically targets the aggressive driving behaviors listed below. As already noted in the Introduction, the NYS State Police have pointed out that there is a difference between aggressive driving and so called “road rage”. “Road Rage”, such as using the vehicle as a weapon or physically assaulting a driver or their vehicle, is NOT aggressive driving. These are criminal offenses, and there are laws in place to deal with these violent crimes. If you cannot change lanes and an aggressive driver is behind you, stay where you are, maintain the proper speed and do not respond with hostile gestures. The Field Operations Bureau of the Maryland State Police implemented a new program entitled “The Aggressive Driver Campaign”. The program placed the usual emphasis on public information, education and enforcement. There was a kick-off press conference on May 25, 1995. The media picked up on the focus and were very supportive in their reporting. The Public Affairs Unit of the Maryland State Police issued an educational brochure titled “The End of the Road for the Aggressive Driver”. A public service announcement was developed using the slogan “Stopping the aggressive driver before he stops you!”. Enforcement efforts were stepped up. Instead of receiving the negative feed-back which usually accompanies beefed up enforcement efforts, the media and the public praised the Maryland State Police for their efforts. The public’s perception was that the police were “out there to catch the other guy”. If you encounter an aggressive driver, consider the recommendations of the State Police. First of all, observe common courtesy and consciously try to avoid actions which can provoke other drivers. Secondly, take measures to reduce your own stress so that you are less likely to feel aggressive yourself. You can also try to adjust your attitude about why other drivers are behaving the way they are. Finally, keep your emotions in check and think about the consequences of your behavior before you react. Motorists are advised to be patient and courteous to other drivers. You should correct any unsafe driving habits that may endanger, annoy or provoke other drivers. Be aware of the actions that have resulted in violence in the past. Many of these actions are simply eliminated by practicing common courtesy. Others are behaviors which are, or may be considered, offensive. Gestures — Obscene or offensive gestures irritate other drivers. Be aware that any gesture may be misinterpreted by another driver. Car phones — Don’t let your phone become a distraction. Car phone users are perceived as being poor drivers and presenting a traffic hazard. 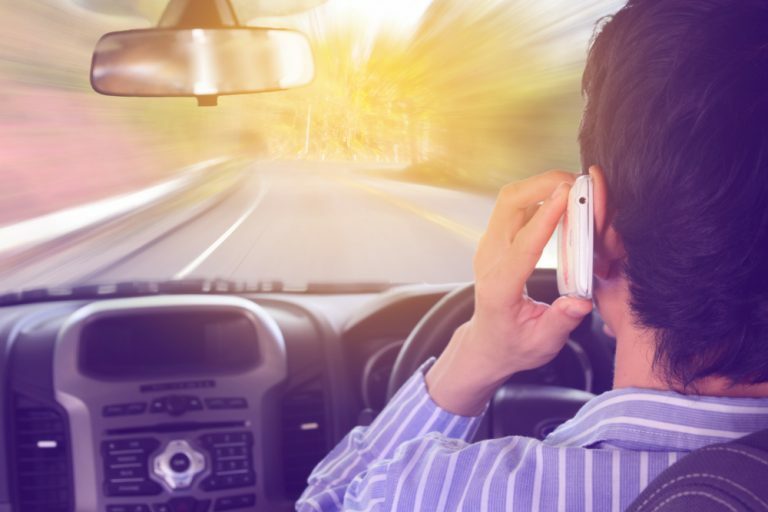 Data shows that aggressive drivers are particularly irritated by fender-benders with motorists who were talking on the phone. Displays — Refrain from displaying a bumper sticker, slogan or vanity license plate that may be considered offensive. Eye contact — If a motorist tries to pick a fight, do not make eye contact. Get out of the way without acknowledging the other motorist. If the driver follows you, do not go home. Go to a police station or location where you can get help and there will be witnesses. Aggressive tailgating — Riding the bumper of the vehicle in front of you is both annoying and unsafe. Aggressive horn use — Leaning on the horn to express anger is aggravating. Aggressive headlight use — Flashing headlights to denote irritation is rude and unsafe. Lane blocking — Don’t block the passing lane on multiple lane highways. Allow vehicles to pass you. 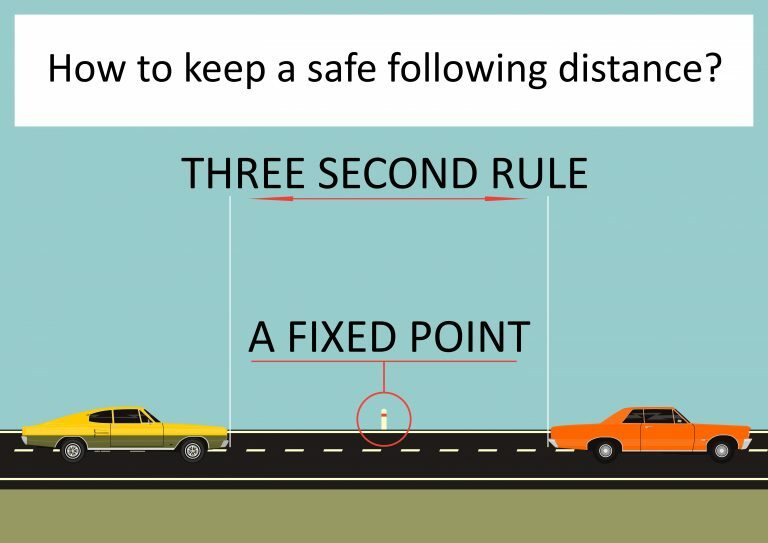 Tailgating — Maintain a safe distance between your vehicle and the vehicle in front of you. Signal use — Don’t change lanes without using your signal, and make sure you can change lanes without cutting another driver off. After changing lanes or turning, turn your signal off. Horn use — Use your horn sparingly. Noise is shown to be a contributor to stress. Failure to turn — In many areas, including New York State, right turns are allowed after a complete stop for a red light unless an intersection is marked otherwise. Avoid the right lane if you are not turning right. Headlight use — Keep headlights on low beam, except where lighting conditions are poor. 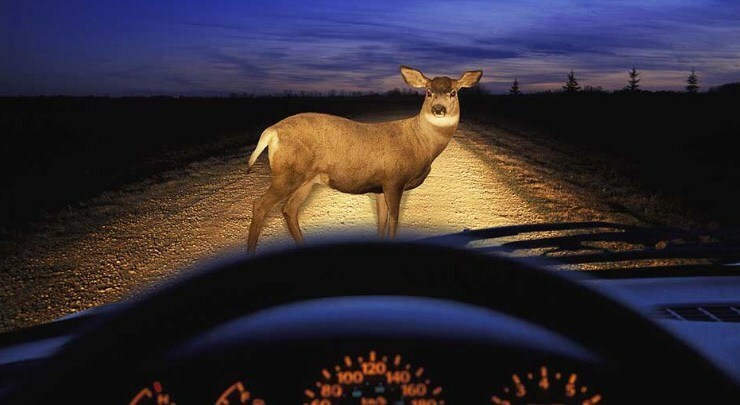 Dim your high beams for oncoming traffic, when approaching a vehicle from the rear or when another vehicle is passing you. Merging — When traffic permits, move out of the right-hand acceleration lane of a freeway to allow vehicles easier access from on-ramps. Blocking traffic — If you are driving a cumbersome or slow-moving vehicle, pull over when possible to allow traffic to pass you. Do not block the road to stop and have a conversation with another driver or a pedestrian. Alarms — Be sure you know how to turn off the anti-theft alarm on any vehicle you are driving. If you are purchasing an alarm, buy one that turns off automatically after a short time. Learn to spot the warning signs of stress, and try to avoid situations which are likely to cause stress, distraction and fatigue. 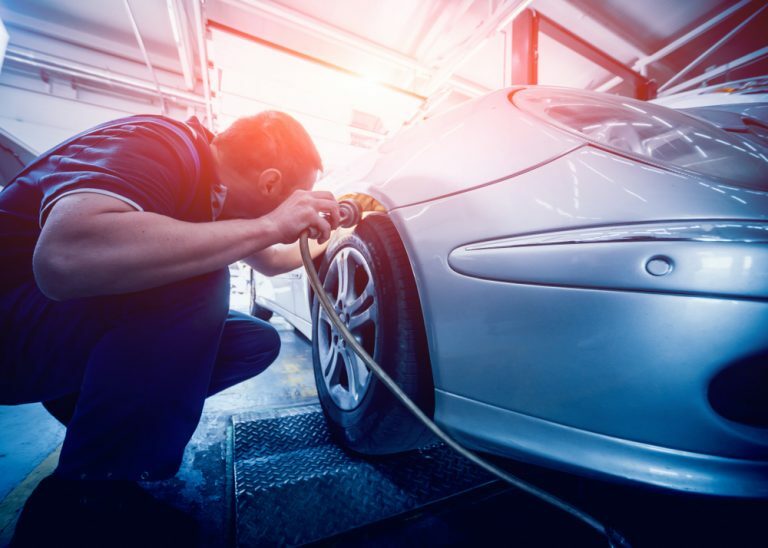 Keep your vehicle in good working order to avoid the stress of a breakdown. If your destination is in an unfamiliar area, plan your route and have a map available. Have windshield cleaning materials and sunglasses available. Plan your route and have a map in your vehicle. Take breaks to stretch and walk around. Eat light snacks as opposed to heavy meals. Avoid eating in noisy, crowded places since they can promote stress. Allow plenty of time to get where you are going. Can you change your schedule or route to avoid the worst congestion? And does it really matter if you are a little late? 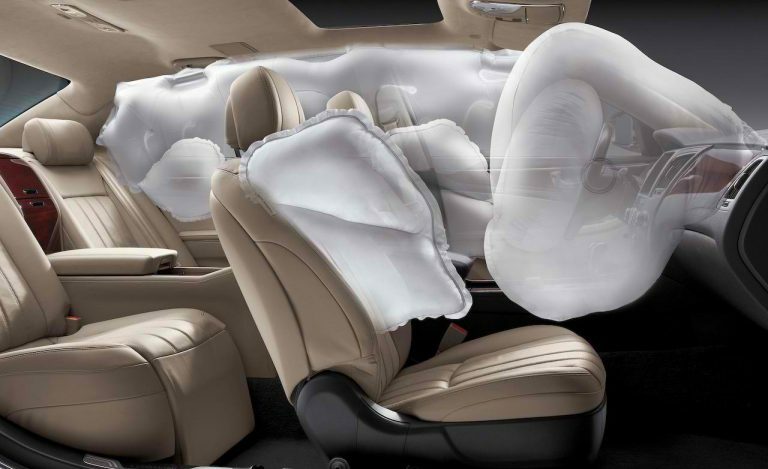 Improve the comfort of your vehicle. Listen to music that reduces your anxiety, or try listening to books on tape, but avoid anger-inducing talk radio. Use your air conditioner. Make your seat more comfortable by adjusting your seating position or using a pillow. Take a deep breath. Don’t clench your teeth or grip the steering wheel too tightly. Try doing limited stretching exercises. Don’t drive when you are upset, angry or overtired. Take a break to calm down, “cool off” or rest before you get behind the wheel. Give the other driver the benefit of the doubt. We all make mistakes. Do not assume that all unsafe driving actions are intentional or personal. Be polite and courteous, even if the other driver isn’t. Self-control is crucial in managing stress and aggression. It is important for individuals to have a set of responses to cope with frustration. The most important advice is to remain patient in traffic congestion. You can gain a sense of control by realizing that people behave differently in different situations and that environmental factors may effect others to a greater or lesser degree than they effect you. 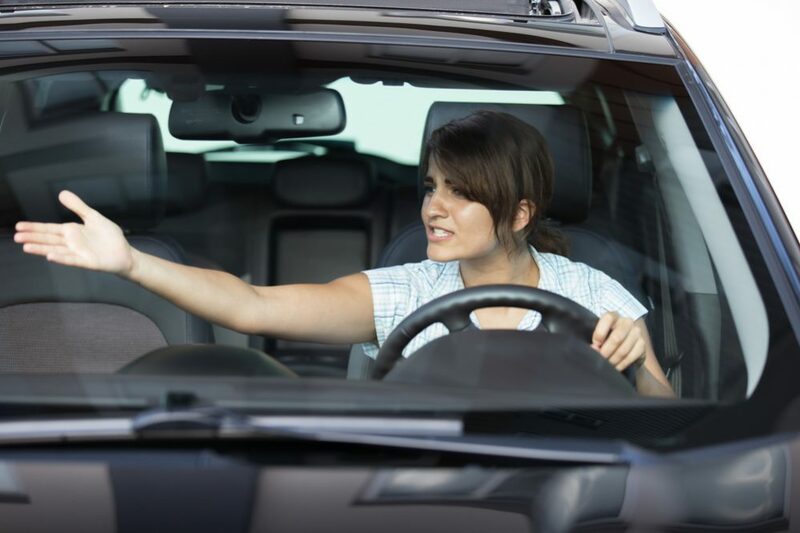 Information about why a driver may be acting in a certain way will make their behavior more predictable to you, and you will be able to take action to avoid a confrontation, if necessary. Drivers must pay more attention to their own levels of emotion. 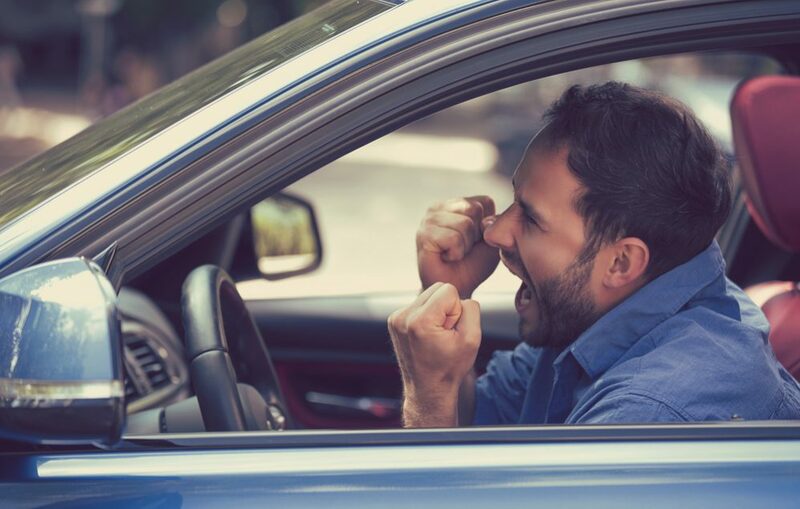 Evidence suggests that drivers who allow their emotions to spiral out of control while driving are a much greater risk to themselves than to those around them. It is important not to try to alleviate aggressive emotion with an outburst. Research shows that this does not help to overcome the situation, and the risk of retaliation increases. Several psychologists suggest a “cooling off” period such as going for a walk or using relaxation techniques. Although many people, particularly men, go for a drive to “cool off”, it is not recommended. Any activity that is an attempt to “cool off” must be distracting enough to interfere with the train of anger-inducing thought. Avoid all conflict if possible. If you are challenged, take a deep breath and get out of the way, even if you are in the right. Finally, before reacting, think about the possible consequences of your actions. Aggressive behavior behind the wheel could result in serious injury or even death to yourself or someone else. Don’t let an impulsive action ruin the rest of your life. Since there is currently not much information on aggressive driving, New York State is continuing to research the issue of aggressive driving as a traffic safety hazard. Road rage incidents are criminal offenses, while aggressive driving incidents are traffic violations. The New York State Police program is addressing aggressive driving through enforcement of the traffic violations which are generally considered to be aggressive driving. 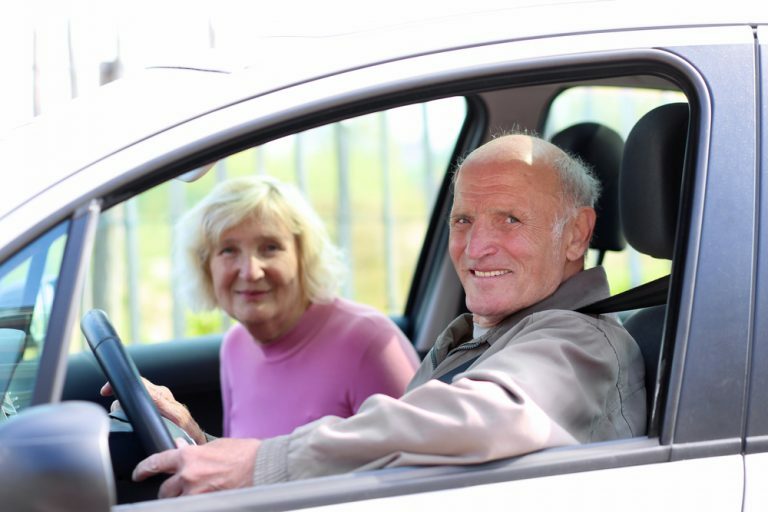 Older Drivers: The Facts & What Can You Do?